If you are a business owner, more than likely you are aware of digital marketing and pay-per-click. If you are not, you should familiarize yourself with it so that you know what kind of edge your competitors have. Pay Per Click is the leading type of online advertising for all business owners including restoration companies. If someone has water damage in their home or business, you can guarantee they will look up “who cleans up water damage” on their cell phone. 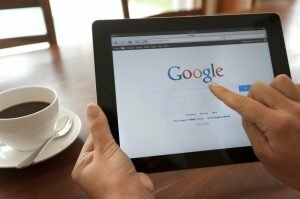 When a potential client performs a search on Google for a restoration service, the very first thing they are going to see is an ad in the top position on the first page of Google. In fact, the first four things they might see are four different ads for water damage restoration companies. If you are not in that position, your potential client will probably become your competitor’s client. Does Pay-Per-Click cost money? Yes. Pay-per-click is a type of “paid advertising”. Just as the name suggests, you pay for each click on your ad. Ads will cost different amounts depending on how competitive your area is for a particular service. The best way to find out how much a particular service might cost in your area, contact our experts at Spot On Solutions for an audit. How does Google know where to show my ads? This is a great question! Google Ad’s interface allows us to set-up the exact targeting. That means if you want to target an entire county, minus 2 cities, that can happen. If you want to target a 50-mile radius from your location, Google Ads can do that. Google Ads will only show to people in your target location. How important are Google ads to my marketing strategy? On a scale of 1-10, Google Ads is 11. Most search is being done on mobile devices on the Google Search Engine. If your ads don’t show up here, new local traffic has less of a chance of finding you. Organic advertising, or SEO, listings do not show up until later on in the page. That means if you are relying on your organic listings to pull in new clients, they have to scroll through the top 4 ads and the map/business listing section before they might find you in organic listings. Do I need a management team? As a business owner, you probably wear a lot of hats and are very busy managing your company. When you hire a PPC management team like Spot On Solutions, you are hiring a team of experts to run your advertising. A management team knows best practices, best bidding techniques, effective optimizations, and crucial components of advertising that will keep your company competitive and up to speed. Definitely hire a management team if you want to effectively grow your business.